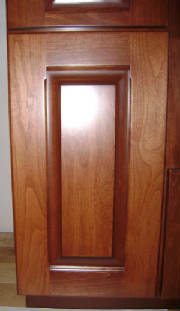 Click to read: What is the Difference between Stock Cabinets and Custom Cabinets? 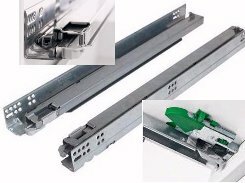 In contrast to conventional undermount slide systems, Dynopro is the first slide that features a synchronization mechanism. This mechanical synchronization of each individual slide ensures enhanced comfort and movement without annoying sounds or resistance. The operating function of Dynapro remains unchanged even when moving heavy loads. Loads of up to 132 pounds present no problem for Dynapro. Abrasion-resistant nylon rolleres ensure smooth and even operation. 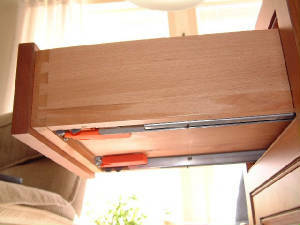 Blum hinges are preferred worldwide by cabinet and furniture makers because of design and quality. 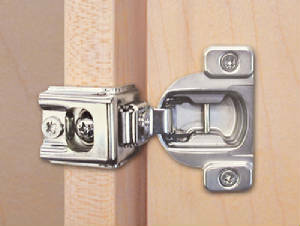 The hinges are manufactured to meet the ISO9000 standard that signifies they are manufactured with consistent quality. The quality of this product is guaranteed by a lifetime warranty. 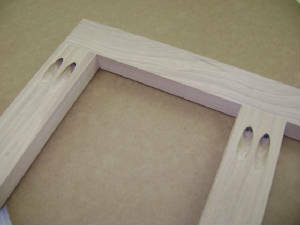 Each part has a two or three-way adjustment feature that will depend on the type of cabinet and the adjustment required. 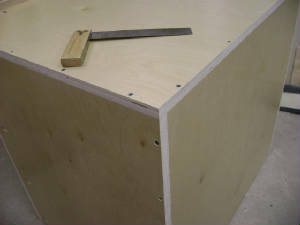 A two-way adjustment allows a height and side adjustment with two screws. A three-way adjustment allows for a height, side and depth. 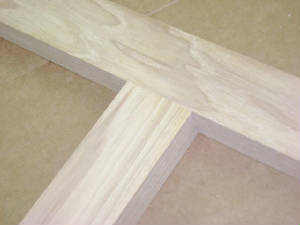 We use the Sher-Wood® Kemvar® Conversion Varnish System. After the stain is applied a sealer coat is applied. We then sand and apply the conversion varnish. excellent film build capability. Its added UV absorber resists yellowing, making it perfect for light-colored stains. Meets the strict test requirements of the Kitchen Cabinet Manufacturers Association (KCMA). we do not contract out, but do ourselves.